Aayushi mainly writes about film and television. 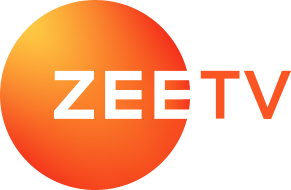 Before ZEE5, she's worked with Times Now where she covered the newest developments in the universe of entertainment and fashion. With a major’s in Journalism, she vows to not fall for the toffee. When not putting pen to paper, find her binge-watching thrillers and investigating the incoming in the digital space. Zara and Kabeer of Ishq Subhan Allah to Abhi and Pragya from Kumkum Bhagya, check out 7 jodis that taught us about love on the small screen. We bet you didn't know these interesting facts about Saheb Biwi Aur Gangster 3 actors Jimmy, Chitrangda, Mahie, and Soha. Number #2 will surprise you! In the promo of upcoming Kumkum Bhagya episode, Pragya tells the police that Riya is innocent. While Riya is in tears, Prachi is shocked to hear this. Tonight on Kumkum Bhagya, the police tell Prachi they will book Riya under an attempt to murder Pragya. Abhi is on his way to the police station. Speaking about her role Indumati Tomar, Bhumi said, "I cut off from the world to understand the psyche and behaviour of the person I was becoming." Kalank stars Varun Dhawan, Alia Bhatt shall join Madhuri on Sa Re Ga Ma Pa Li'l Champs 2019 this weekend. They even danced to First Class song. "Ranveer Shrivastav is a man with a plan and he is out there to right whatever wrongs were done to him and his family," Tanuj speaks about Poison. Mugdha Chaphekar aka Prachi of Kumkum Bhagya told us in an exclusive interview that she is very similar to her onscreen mother Sriti aka Pragya Arora. Talking about his role in Manmohini show, Zuber told a news agency "Vanraj is a superhuman and he possesses this special ability to turn into a lion."